The Pays de la Loire region is known for its natural beauty and the region surrounding Le Chaponnet is certainly no exception. This luxury camping site can be found conveniently close to a stunning sandy beach, which makes this the perfect place to rent a mobile home for sun worshippers, while people who stay at Le Chaponnet will soon discover that it is packed with facilities and amenities to help them enjoy the camping holiday of a lifetime. What Makes Le Chaponnet So Special? Why choose Camping Le Chaponnet? The cubs that are organised for young children and teenagers offer lots of different types of activities and parents can rest assured that the kids will be in safe hands with the staff entertainers. There are also special play areas for children to enjoy, while the large outdoor swimming pool features several water slides that are just waiting to be enjoyed by children of all ages. A stunning sandy beach is located just under a mile from Le Chaponnet and the whole family is sure to love soaking up the sun here and taking part in different types of water sports such as swimming, sailing and surfing. The beach features no shortage of amenities such as public toilets and showers, which means that visitors can comfortably spend the whole day unwinding on the sand if they choose. Although the beach is only a short stroll away, this LUX-camp makes getting there even easier for their guests by providing them with a complimentary shuttle service. The nearest town is just under ten miles from Le Chaponnet and guests will also find a large number of traditional towns and villages just a short drive away. The luxury camping site also offers bicycle hire and cycling along winding coastal roads and along country lanes is the perfect activity that the whole family is sure to want to enjoy together. 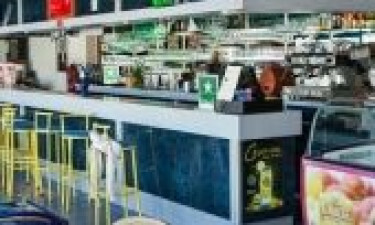 The onsite snack bar serves a good selection of light meals and snacks for guests to enjoy and kids are sure to love the fact that Le Chaponnet also features its own pizzeria. 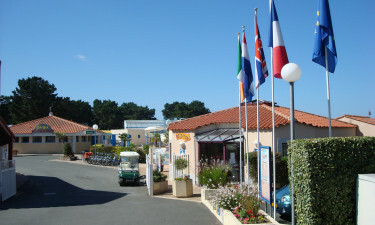 After spending the day unwinding separately or taking part in different types of activities, the family can reconnect with a memorable meal at the luxury camping site’s excellent restaurant, while adults are sure to enjoy sampling French wine and other tipples at the adjoining bar, which is open until late at night. Lovers of luxury camping will find that Le Chaponnet features everything they need onsite, including a large supermarket. A wide range of popular British items are sold here such as jams and other spreads which guests can use to put together a picnic to take with them to the beach, while this is also a good place to sample traditional French produce.